MEET THE COACH FROM HELL! IN THIS CHAOTIC climate, a horror story is appropriate. The worst deeds of humans, turning monstrous, choosing dreadful paths to take . . . the road darkened yet compelling to those without a conscience, those who wish to get ahead without doing the work or those who simply lack empathy. 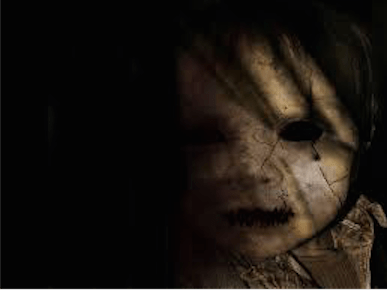 Most of the scariest of monsters are usually human, born innocent babes, and then a transcendence occurs, a moment of shock, a chill in the air. Those who turn to darkness are found out eventually, and the horrors from the past haunt us to this day. 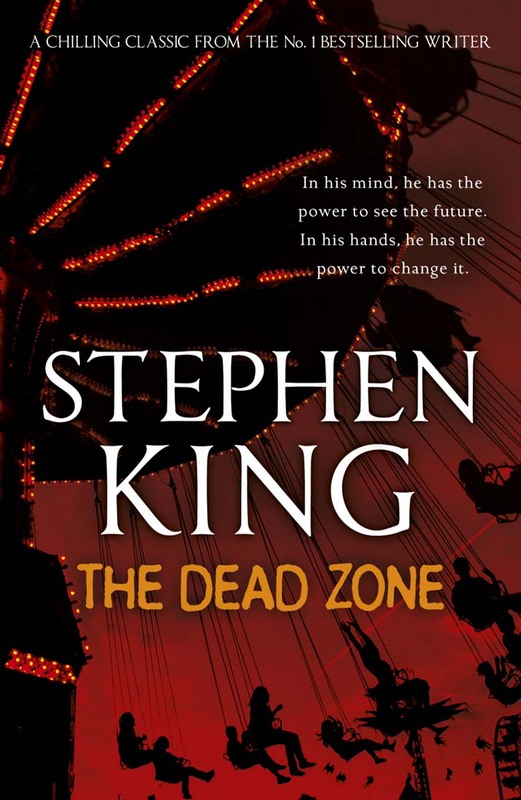 One of the best books to read right now is Stephen King’s The Dead Zone. 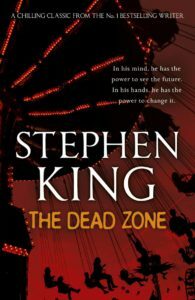 It captures the power of foresight and brings it to a terrifying place when a man with “the gift” sees a possible apocalypse after touching a smiling, trumped-up candidate, who also just happens to be an animal abuser. The horror of real life is often mirrored in its fiction and films and theater and music. The Arts. Everyone take heed. After a solid three weeks of recovery from minor surgery (the pain wasn’t minor) I’m halfway through the battle and looking forward to my next appointment with the future. Healing is key. I wrote a story based on a Ray Bradbury tale and this has been sent off to see if it’s up to snuff. Another tale, Homecoming, is in the writing stage. I’ve created my own family of misfits who live on the fringe of society, and who only wish to exist among us. In another nod to Bradbury, a writer who continues to inspire from beyond the grave, Homecoming will make a curious debut later in the year. Here is the sixth installment of The Volunteer. I hope to bring about change on the fictionalized version of my home isle of Fidalgo Island. I write what I know. I write where I live, and the gothic season begins. Enjoy this chapter and please let me hear from you in the comments. 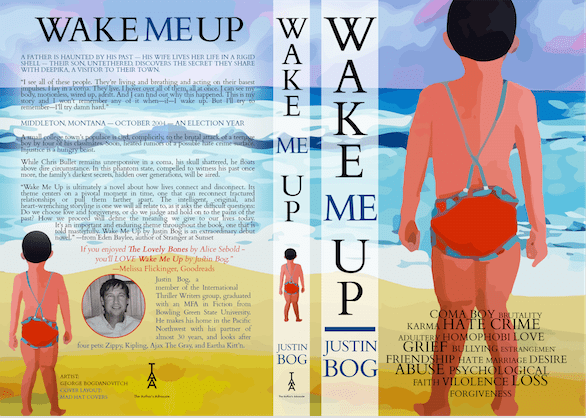 I recently published the new edition of Wake Me Up, at Amazon, and it’s receiving some notice. If you or yours have ever faced bullying, this tale may help put a face to this horrible occurrence. If you want to read The Volunteer from the very beginning, please click HERE to read Part 1. If you want to refresh your memory, please click HERE to read Part 5. 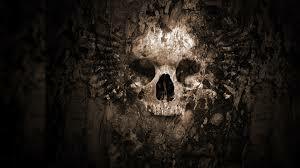 To begin reading my other horror story, A Play Demonic (The Queen’s Idle Fancy), please click HERE to read Part 1. Melinda pulled her layered blonde hair into an athletic ponytail, no nonsense. Her hair, with natural gentle waves and nice subtle, lighter streaks throughout, shoulder-length, billowed up behind her as the wind quickened. Rain droplets started spattering the court, and I could see the shoulders of the team slump. Melinda’s time-consuming hair style was about to get drenched and I watched her face tighten. Coach Martin spoke in a whisper to the new volunteer. That’s what I thought of him and resisted calling him anything but Boatman. I certainly wasn’t going to call him coach. Boatman spoke to us without raising his voice in the approaching storm, the wind and the rain now falling faster, soaking all of us instantly. From previous seasons I knew that when this happened the girls ran, squealing, for the indoor gym, if a practice was just starting, or into their cars and home if the coach said: See you tomorrow. Just like that, the team took off sprinting for their bags and racquet covers first, grabbing them in their haste before heading to the gym just down the hill about fifty yards away. I wanted to tell Coach Martin I wouldn’t be joining him inside for more calisthenics and conditioning. I was there to hit with the team, feed balls to them for any kind of drill, and with the new volunteer there wasn’t room for three adult minds, especially my spiking thoughts. I wanted to tell Coach this but he was off, sprinting with the girls who ran ahead, the ones who didn’t even pick up their belongings. No one wanted to be last. That thought almost made me start to run too, keep up with the pack. Believe me . . . you don’t want to be last . . . The new volunteer stared at me debating this and he smirked again, lifting the corner of his thin lips. His spectacles were soaked and in the gloom I could only see darkness behind them. And then he was lightly jogging away, not a care in the world, coming up behind the last girl, Ardath, a heavier girl who was on the JV squad the previous year as a diligent workhorse freshman, a nice, determined girl who didn’t stand out as a talented tennis player but one who had a passion to learn, put the time in. She’d already come in last and it was obvious as I followed the new volunteer to the gymnasium that poor Ardath was about to face a penalty for being slow once again. The new volunteer placed his hands on his hips as Ardath turned back in the downpour to complete her . . . In the rain I couldn’t tell if she was crying as she passed me to run back to the abandoned courts and start her five suicide drills. Her face sagged and she couldn’t look me in the eye. I studied the new coach standing out of the rain in the open doorway to the gym where the faster girls hooted, very satisfied with the way the practice was going. They sounded wild, like the girls I knew from the past few seasons, silly, loud, borderline obnoxious in a good way. I sputtered away as he returned to the gym, shutting the door behind him. He hadn’t given me time to respond. My clothing wouldn’t dry out for days and I thought this as I walked back to the courts to make sure Ardath did the punishment drills. She ran and touched every line. I recalled other first-day team practices and couldn’t remember a time when all the kids did anything without complaint, especially running, something tennis players whined about. Can’t we just hit tennis balls? After Ardath finished she had just enough energy left to make it to the public trashcan next to the staircase to the upper playing field where she promptly threw up. I felt for Ardath. I pictured my own daughter, Elissa, running and then vomiting, in distress. And my anger continued to simmer within. Oh, the new volunteer, Boatman, was good. I gave him that. He’d even made me complicit in his plan right off the bat, part of his new team of coaches. Let it go . . . pick your battles, don’t make waves, be a man, Benny. And this I heard in my mother’s voice, someone who unfailingly never, ever, made waves. I walked up to Ardath. The girl stayed silent at my words. They sounded insincere and Ardath was wise to this. Stay honest with the teens, I thought, they see through every little white lie. “That’s why I’m here. I should’ve just gone ahead. I didn’t want my computer to get soaked so I stashed it under my coat there and look what happened. I promise, one day soon, I’m going to be the best sprinter on the team. You wait and see Coach Worthington.” In the rain Ardath couldn’t even open her backpack to check her computer. Like most of the other kids she’d come right to practice from school. “I believe you.” She spoke with such intensity. I’d forgotten what a good competitor Ardath was. At that moment I thought: She’ll be fine. She’s tough, and if I could predict the future that’s what I believed. We gathered up the backpacks and racquet covers and headed for the gym. I saw Ardath wipe her mouth and stopped her, dug into my own racquet bag and took out a couple breath mints. “Thank you,” she said. “You’re great, Mr. W. This year is going to be tougher but I think it’ll make everyone stronger.” That was the understatement of the day. I didn’t respond in any way but Ardath gave me another piece of an ever-expanding puzzle. Coach Martin’s planning had been ongoing for quite awhile and he hadn’t thought to include me. At this point the question wasn’t why?—but why not?